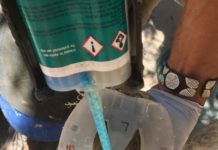 Are you stumped by ongoing gaiter rubs or boot loss? Consider this: a hoof at the end of its trim cycle will almost always compromise boot fit. 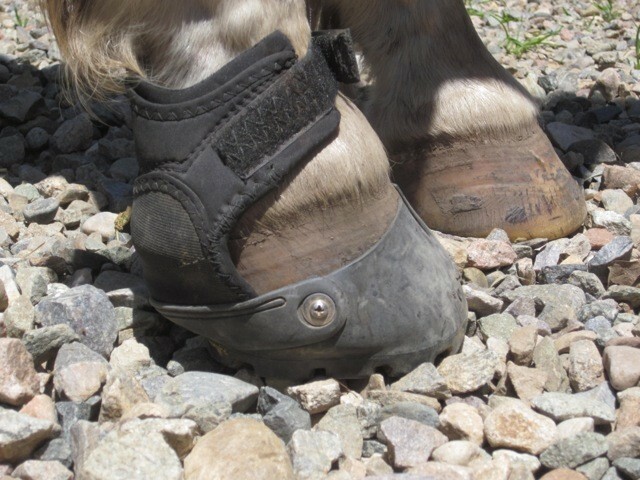 As much as we’d all like hoof boots to fit perfectly no matter what the size or shape of the hoof, the fact is that one size really does not fit all. Look at the photo above. 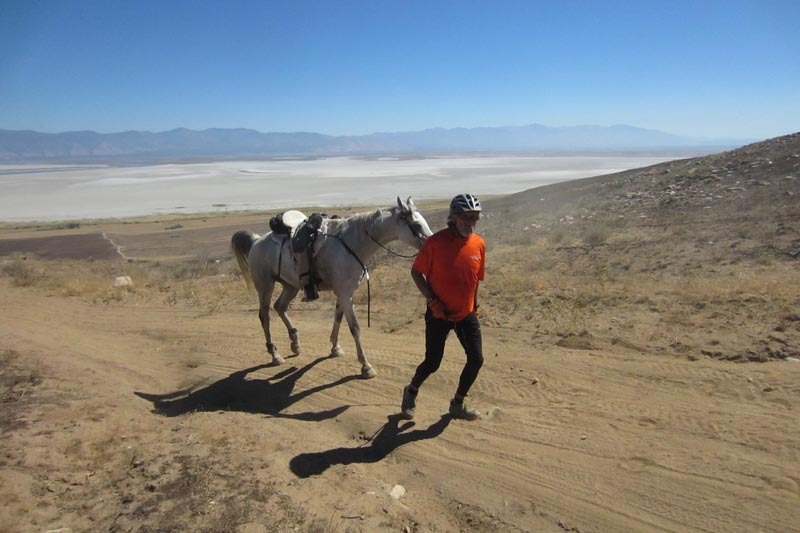 This horse won a fast 50 in Easyboot Gloves two weeks ago and has been on lay-off since then. 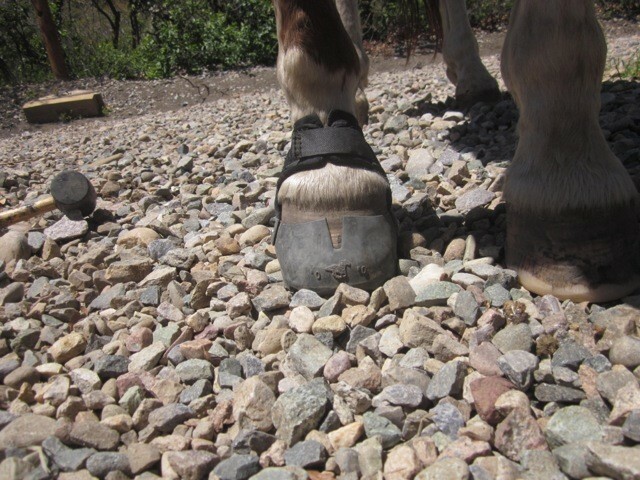 The height of the heel is literally lifting the hoof up and out of the boot. 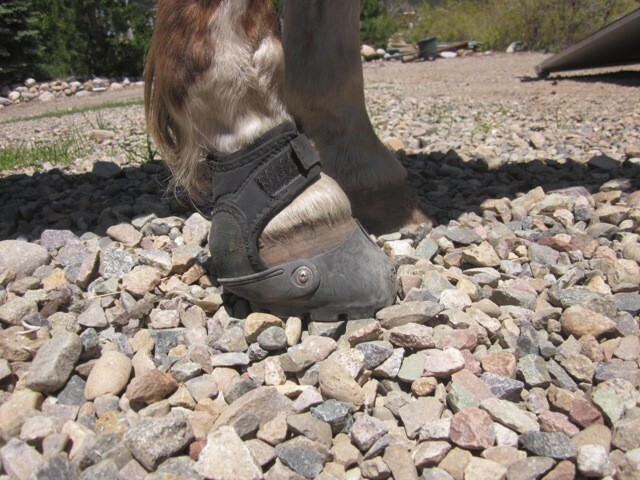 The gaiter is not sitting around the pastern the way it was designed to and the velcro attachment system at the front of the gaiter is strained. 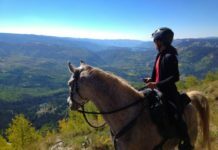 If this horse was taken out on the trail for a few hours I would not be surprised to see rubbing towards the front of the gaiter at the top edge. I would also expect to see premature wear where the gaiter attaches to the boot. The photo above shows the same horse without the boot on. 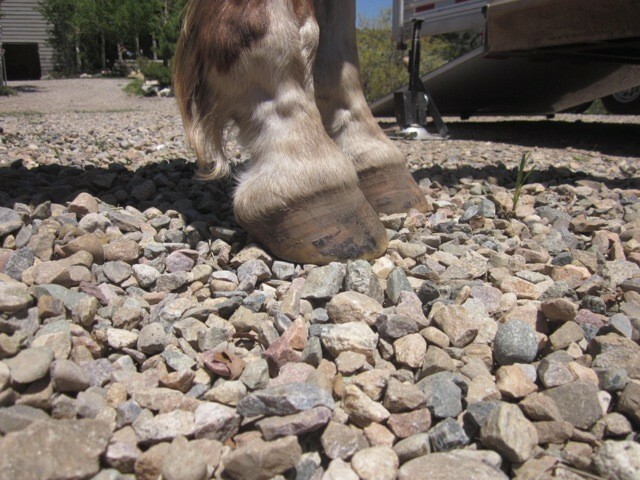 Although there is not much toe length or flare, it is clear his heels are high. This horse needs a trim for the boots to work optimally. So do we trim the hooves to fit the boots? Well, yes, actually. The photo above shows the horse post-trim. 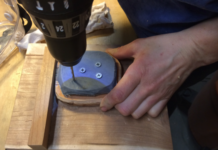 The top of the Glove shell more closely follows the hairline at the coronet band. The gaiter sits around the pastern in the way it was designed to and the velcro at the front of the boot secures in a more secure fashion. This Glove fits snugly: there is a nice spreading of the V at the front of the boot and the front of the gaiter is not pulling against the front of the pastern. I would feel very comfortable riding this horse in this boot for 50 miles. Looking at the hoof post trim without the boot, you can see that the heel has been brought down and the foot – at least from this side angle – looks well balanced. So if you’re experiencing rubbing, work with your hoof care practitioner to see if you can slowly bring down the heel height on your horse. 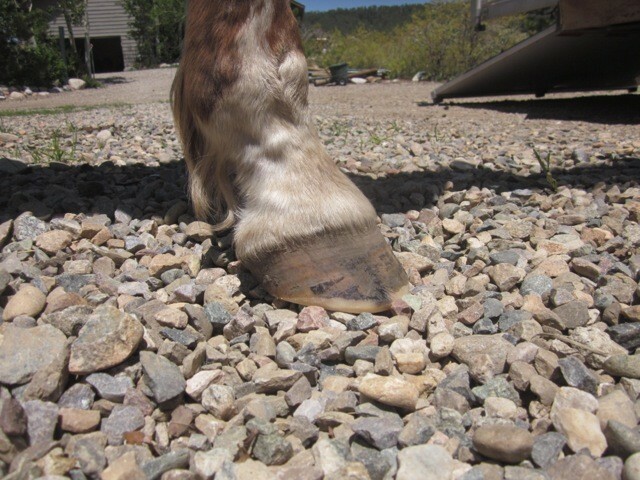 Similar fitting issues can be caused by a hoof with a long toe. Next articleAngelic Bonds to Expand EasyCare’s Product Range?